A couple of weeks ago I had a game of Mech Attack. As with our last battle it was a scenario rewarding both seizing objectives and destroying enemy units and only infantry could seize objectives. 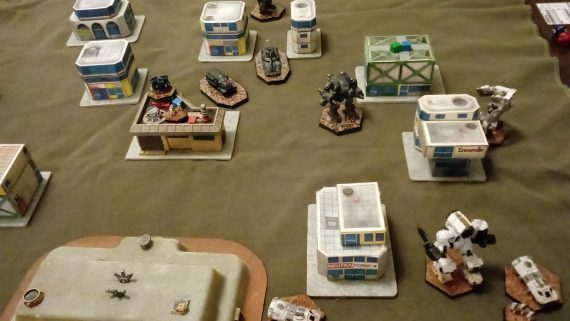 We added an additional twist by awarding points not only to the unit that first seized the objective but also to whatever side held the objective at the end of the game. Worked very well and as with our other recent battles, having infantry being the only objective takers alongside points being rewarded for kills created a balanced combined arms where infantry vehicles and Mechs all have a role and are all essential. Had a really good time and it has inspired me to start collecting affordable N-Scale buildings on Ali Express to replace my paper terrain. 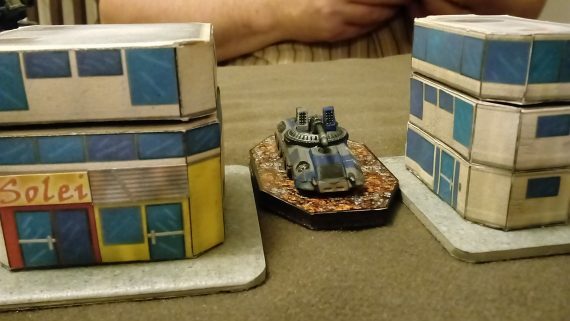 A review of the first couple of buildings is here. Clix mini's of all genre's are great, and can have 'countless' use's for gaming. I for one am keeping a close eye out for the new Pacific Rim mini release. I know there was a Pac Rim clix version IIRC sometime in the past.